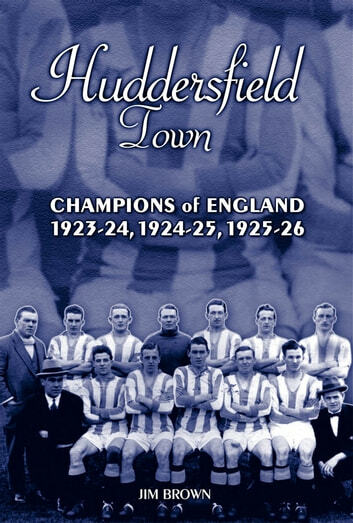 In the 1920s Huddersfield Town were the premier club in England. During that decade they became the first club to win the League Championship three times in a row. TThe story of Huddersfields success is a footballing fairy tale, for just before they won their first championship they had been on the brink of extinction. The men who saved the club then had the foresight to employ Herbert Chapman as their manager. In an unprecedented break with tradition, they then gave him a free hand with team matters. They were rewarded with success beyond their wildest dreams. Jim Browns detective skills have unearthed a fascinating and complex tale. Herbert Chapman brought to Huddersfield not only his managerial genius, but also a dark history of illegal payments. His successor, Cecil Potter, was said to have resigned on medical grounds, but was sacked for improper conduct in Llandudno. The clubs trainer and later manager, Jack Chaplin, is thought to have been murdered by his wife. Follow the rise of the most unlikely of League champions. 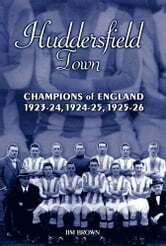 Assisted by access to the clubs board minutes, unparalleled statistical data, and many previously unseen photographs, this book tracks Huddersfield Towns early days as a League club and the arrival of Chapman, through the triple championship seasons, to the gradual break up of the team in the years that followed. Poignant, funny, profound this is a classic tale of a triumph against the odds. Huddersfield Town were Champions of England.